Piazza della Rotonda in Rome, right outside the Pantheon. 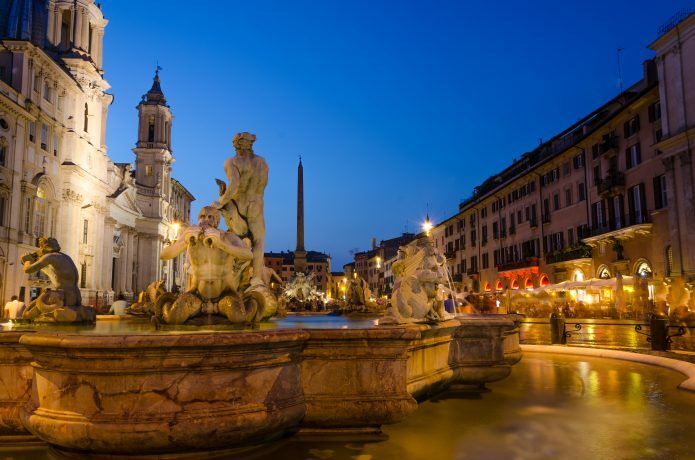 Walk through Via de’ Burro, past the majestic columns of the temple, and up to Piazza Sant’Ignazio and its eponymous church. 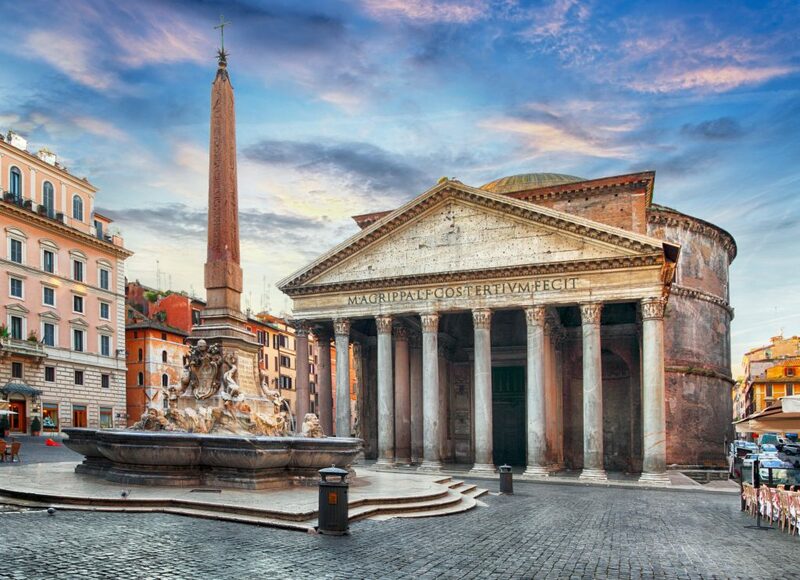 Then, take Via del Seminario up to Piazza della Rotonda, a crowded square dominated by the amazing Pantheon, one of the most iconic buildings of Western architecture. After admiring the Pantheon, walk along Via Salita dei Crescenzi, turn left unto Via di Sant’Eustachio, and reach Piazza Sant’Eustachio. Have a break at Caffè Eustachio and enjoy their espresso, considered the best in Rome. Continue through Via degli Staderari until you reach Corso del Rinascimento, then turn left, then immediately turn right.